While we went over the 29 factors that affect a gem's overall value, the 4C's are the quintessential metrics when appraising a diamond and every investor should thoroughly understand each one of these elements. One of the first things that comes to mind when discussing a diamond’s worth is its weight in carats. Officially, 1 metric carat equates to 200 milligrams and can be subdivided into 100 “points” allowing for grater measurement precision (up to the 100th decimal.) Often times, in the case of diamonds weighing under 1 carat, jewelers may use “points” alone to describe them. For instance a 0.25 carat stone will be referred to as a “twenty-five pointer”. The greater the weight of the diamond the higher its price will be. 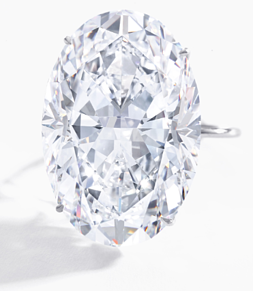 This is mainly because larger diamonds are more scarce but much more desirable. It should be noted however, that weight is not the only determinant of price, the rest of the 4Cs need to be accounted for as well. Let’s begin by talking about colorless diamonds. 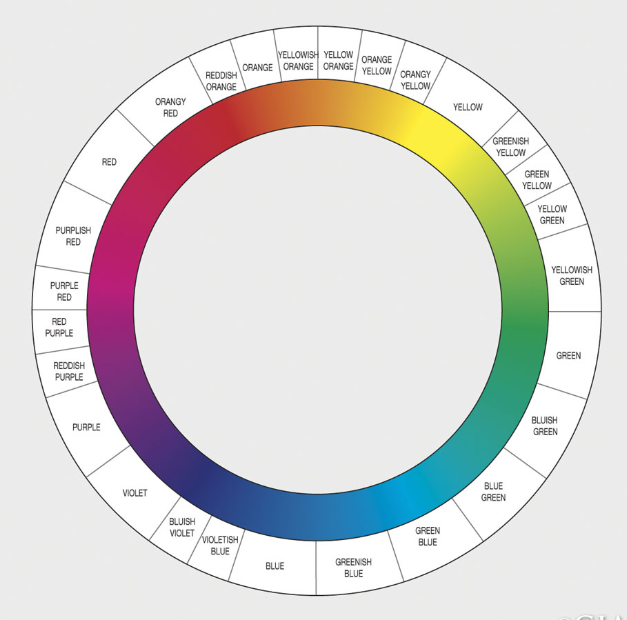 According to the GIA, diamond color evaluation is actually based on the absence of color. A clear diamond must have absolutely no hue, resembling a drop of water. For this to happen, the stone must be chemically pure and structurally perfect. Clear diamonds are evaluated using GIA’s D-Z grading system. During this process the stone is compared to others of an established color value, under very controlled lighting and precise viewing conditions. Often times, distinctions in the color grade can be really subtle and practically invisible to an untrained eye, however they play a significant role when determining diamond quality and value. 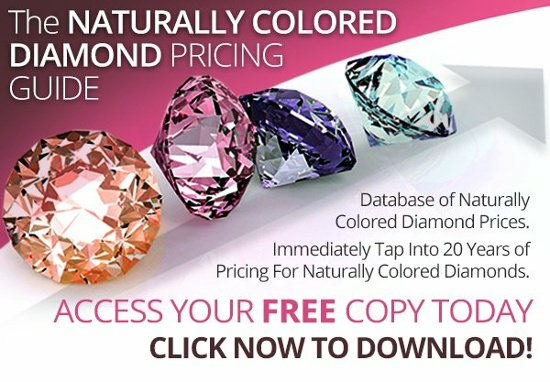 The value of colored diamonds on the other hand is measured with regards to color purity. For instance a pure red diamond will have a higher value than a red diamond with a slightly colored tint (usually, purple, brown, or orange). During their formation diamonds usually acquire internal and external characteristics that define the way they look; these are called “inclusions” and “blemishes” respectfully. 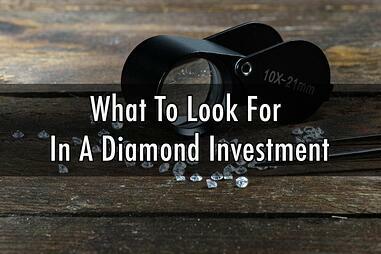 In order for a diamond to be deemed “clear,” such characteristics need to be absent. The stones are evaluated by determining the nature, size, position, and number of these impurities, as well as how they affect its overall appearance. It should be noted that no diamond is perfect, however, the closer it comes to being pure the higher its value will be. Diamond clarity is measured using the GIA’s scale seen below. The final of the 4Cs is often mistaken for the stone’s shape, in actuality though, the cut grade of a diamond determines how well its facets interact with light. This is what gives diamonds their unique shine and sparkle. It is also the most difficult to analyze. In order to aid the process the grade is often determined by using the most common shape in the market, the “standard round brilliant cut”. The grade is determined by evaluating how facet proportions influence the stones face-up appearance, as well as its ability to demonstrate desirable visual effects (illustrated below) when interacting with light. Craftsmanship and design are also accounted for, emphasizing on the diamond’s weight to diameter ration, girdle thickness, and facet arrangement symmetry and polish. 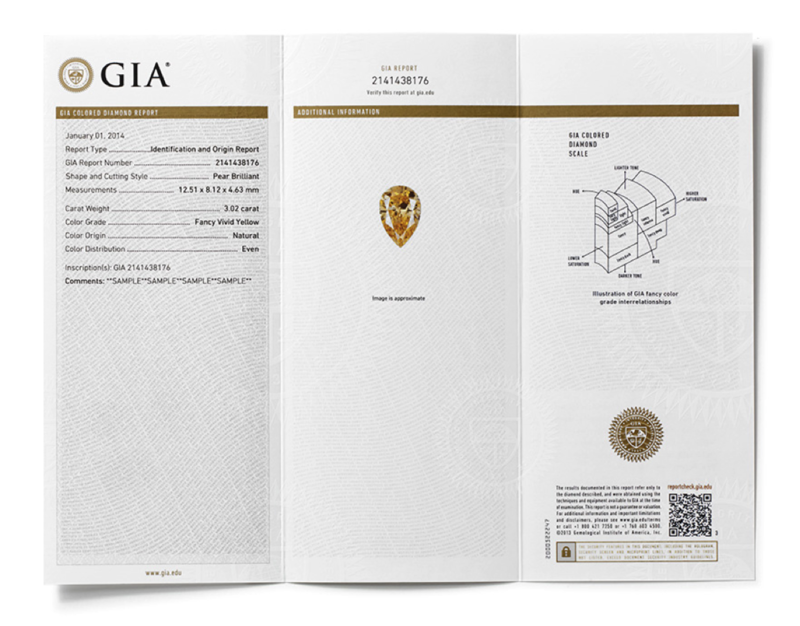 When deciding upon a purchase, it is imperative you ask for certification verifying the stone’s quality. In essence this document assures that the diamond’s 4Cs have been evaluated by an independent party. Also be sure that the certification comes from a trusted and authoritative source, such as the GIA. Further, make sure your diamond has a laser inscription showing its ID code (also found on the stone’s certificate). In the case your diamond does not have such an inscription, it can be identified by its “diamond plot”. This refers to a diagram mapping the unique facet structure comprising the stone and is also included in the certification document. Always remember to see the above mentioned before finalizing the transaction to assure you are getting the right diamond. We hope the details listed in this article can aid you in making a more informed purchase. Diamonds can be a significant investment that will need thorough examination and careful planning, but if done correctly, it will hold great long term value. Do you have any questions you would like us to answer? Let us know! And as always, feel free to follow us on Twitter and LinkedIn!